If you are a serious art connoisseur or need to spend a few hours doing something different on a trip to Berlin, head to the Contemporary Fine Arts gallery in Berlin. Since 1992, the gallery has been known to showcase the works of emerging and established artists in its stark settings, giving visitors an opportunity to explore and appreciate the work displayed. The gallery is particularly known for its minimalist settings and excellent curation of art, which makes it one of the best galleries in Berlin. 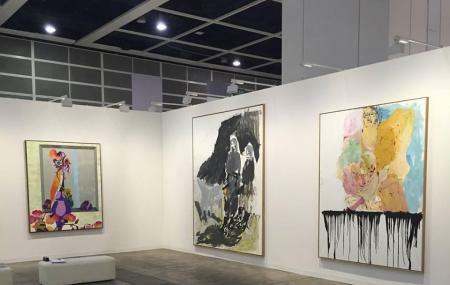 Contemporary Fine Arts has several ongoing exhibitions at any time of the year and if you are keen on a particular artist, you can check their website before visiting. How popular is Contemporary Fine Arts? People normally also visit German Historical Museum while planning their trip to Contemporary Fine Arts. A really nice place. Easy to find and with interesting expositions. Pricey for the biennial show I saw but cool space and some interesting art. Amazing selection of artists and shows!